Lauren’s husband, Mike, was the quintessential family man. 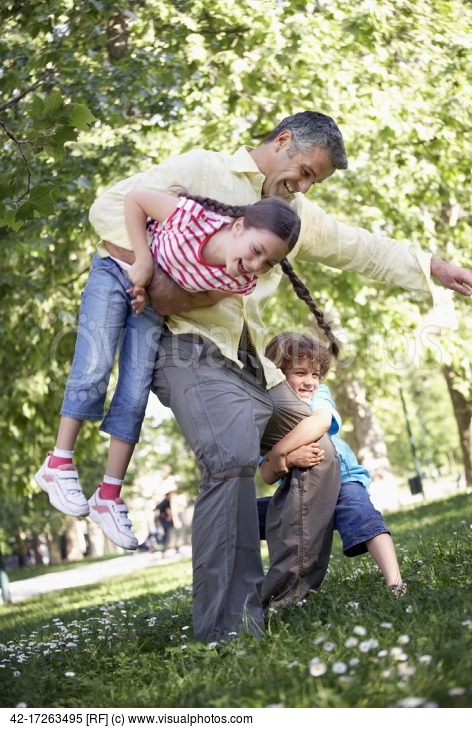 He took the kids to the park, in order to give Lauren a break from mothering and homeschooling. He pitched in with the folding of laundry and the execution of science experiments. He quickly turned the Honey-Do list into Honey-Did, because Mike actually enjoyed puttering around the house, making repairs and improvements. One Saturday he climbed up on the roof to check for a leak around the chimney. Somehow he lost his footing, tumbled to the ground, and hit his head on the cement driveway. He never regained consciousness, and died the next day. Actually, those three statements offer good places to begin. Experts in grief support tell us that affirming the positive qualities of the loved one is very meaningful to a grieving family. A short story that highlights one of those qualities is also appropriate. The assurance that the loved one will be missed offers comfort as well. And even a simple but heartfelt “We-are-so-sorry” communicates caring and support. In addition to the loss of a loved one, there are other situations that may be less traumatic, but still leave us tongue-tied, wondering what we can say—situations like divorce, lay-offs, scandal, and serious illness. Offer affirmation. “I’ve always been impressed by your _____.” Then name the strengths and personality traits that will be especially valuable during this time of trial. Such encouragement may help her see that God has equipped her, and he will see her through. Perhaps instead of worrying about saying the right thing, we’d be wise to let the hurting person share what’s on her heart. A listening ear is a precious gift we can give in a world that overflows with chatter from electronics, technology, family, friends, coworkers, neighbors, etc. In fact, there seem to be more talkers these days than listeners. brief comments or questions now and then, that indicate we’ve heard her. The truth is: We’re sons and daughters of the King. He has created each of us with spiritual gifts and talents to fulfill a specific purpose. “I am so glad God created you with _____.” Again, name the strengths, talents, and personality traits that you admire. “You know what else I appreciate about you?” Share your observations of her being courageous or wise or persevering—whatever might encourage her most, considering her current circumstances. 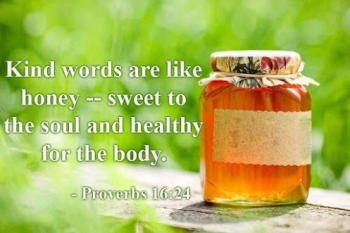 Such “pleasant words are like honeycomb, sweetness to the soul and health to the body” (Proverbs 16:24). Father, I thank you for the privilege of being your voice, to minister encouragement to others. You’ve given us your heart to express love and compassion to a hurting world. We pray for your Spirit’s wisdom and strength to be at work in us and through us, because we so desire to offer your right words at the right time. I pray so! Thanks, Mitch. good words and lovely prayers. Another great topic to write an article about!! Nancy, your years of experience ring so true here. Our pastor’s been sharing a sermon series on Proverbs and the power of words–I love the honey picture. You’re welcome, Jody. To be the voice of God, speaking encouragement and support to others, is an incredible responsibility and privilege.isn’t it? God has blessed me through you, too, Tedi, as you have been God’s voice of encouragement to my spirit. ‘Miss you also, dear friend! Nancy, this is so timely. It seems that every week offers new challenges as we try to support friends and family during difficult times that you identified in this post. Love the ‘listen…silent’ correlation. And it is SO true. Relying upon the Holy Spirit within is what we all need to do in order to say the right thing at the right time. Thanks for this! You are welcome, Cheri, and praise God for his timing. With your tender heart and sensitive spirit, I know you are being used in powerful ways to support your loved ones! Excellent, Nancy. I am always so afraid I’ll accidentally say something wrong to people going through difficulties, I often say nothing at all. I like this advice about affirming words. They can apply to any situation, yes? Great post!